The Border Collie is a working and herding dog, specifically bred for intelligence and obedience.His superior intellect, combined with his intensity and obsessive zeal for working, are his most impressive features - and also the ones that make him unsuitable for most homes. The Border Collie originated in the Border counties of Scotland around 350 years ago. They were developed by local farmers to work their livestock. Renowned for their low and quiet approach to the herd and their gentle attitude, the dogs are relentless workers who thrive on the mental and physical challenges herding presents. When Australia began its sheep farming industry Border Collies were imported to work the herds. The breed, one of the earliest ever brought to Australia, has been known here since the mid-1800s. Today the shorter coated ‘varieties’ of Border Collies are bred and used strictly for working purposes. Some of these dogs are registered with Working Sheepdog clubs for trial competition, some are not registered but are bred purely for work. Any dog that is bought from an Australian Kennel Club registered breeder will not a true ‘working’ Border Collie. These show derivations of the original working dogs can be trained to work stock, but they are unlikely to be as good as dogs from working strains. Whilst displaying gracefulness and perfect balance the Border Collie should be sturdy enough to endure the long periods of activity it has been bred to undertake. 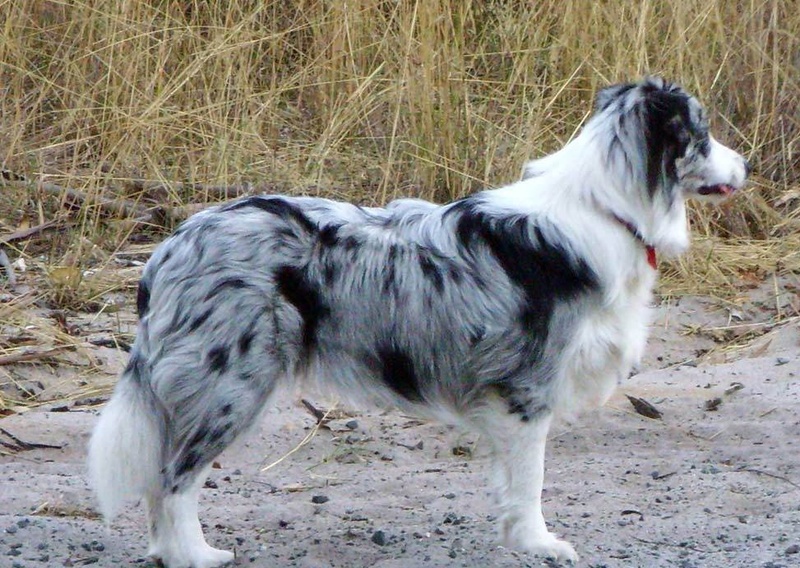 Coat colour and length: They come in black and white, blue and white, brown and white, red and white, blue merle and white and tri-colour. The most common is the black and white. The coat is the most prominent feature consisting of a double coat, with a moderately long, dense, medium textured topcoat. The undercoat is short, soft and dense for good weather-resistance. The length and composition of the coat makes the present day pedigree Border Collie unsuitable for work. 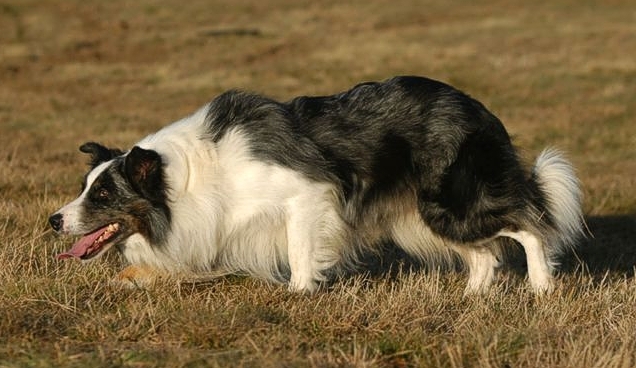 Border Collies thrive on work and love to be highly stimulated and worked for long periods of time. 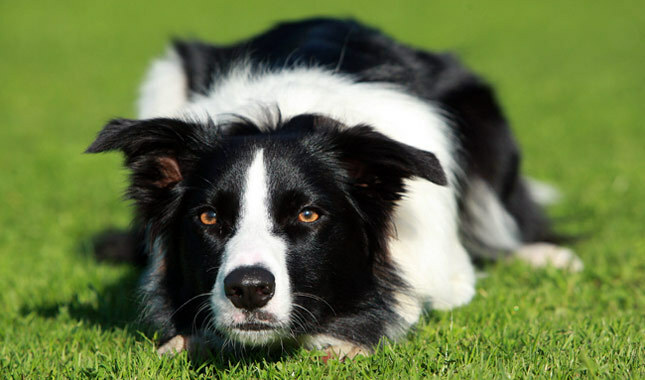 Border Collies are regarded as one of the most intelligent dogs due to their affinity for training and their eagerness to learn, but it is this very characteristic that in turn can be detrimental if the dog is not placed in the right environment. They are high maintenance dogs needing a lot of attention and time and from owners. If you are not prepared to bring the dog into your life as part of the family then you will have trouble. They must be exercised quite extensively every day and included in family activities as often as possible. A dog that is walked for an hour a day and left outside to its own devices will still be difficult. Border Collies are passionate gatherers of cars, bikes, joggers, cats, other dogs, livestock, deer, and running children - poking, pushing, and nipping if the pursued person or animal or object doesn't co-operate! Bored Border Collies will always hunt for something to do or something to stimulate them. With people they should be friendly and affectionate. Training of a Border Collie should begin with puppy classes and continue with obedience for extra training and activity. This allows the dog to understand what their owner wants and also provides a bonding time for both. Training is highly recommended to satisfy their need for mental stimulation. 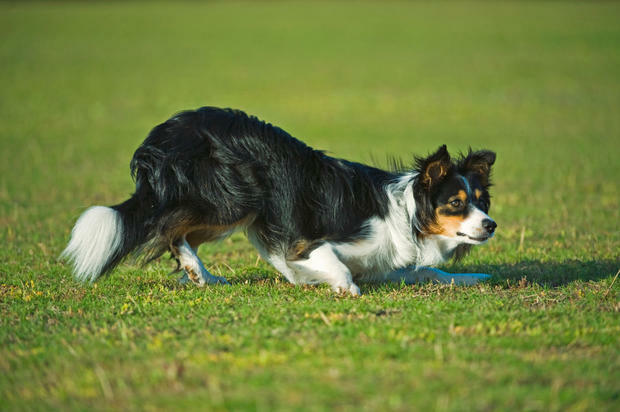 Exercise is a big part of a Border Collie’s life but as with any dog, they must not be worked hard until they 18 months old and the growth plates are fully developed. Then it is time for Agility, Obedience trials, Canine Disc, jogging, swimming and any other activity you would like to throw at them including ‘dancing’. 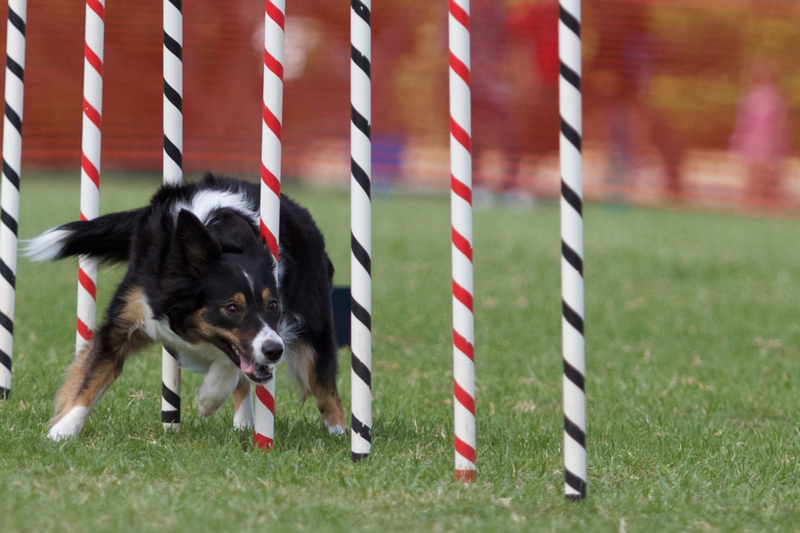 Agility is becoming increasingly popular and is one of the best ways to exercise and stimulate your dog for long periods of time. With the show breed now displaying fuller thicker coats, owners recommend thorough brushing twice a week to prevent knots and matting. In the summer they require baths every couple of weeks but in winter once a month will suffice. A Border Collie can be expected to live for about 10-15 years. 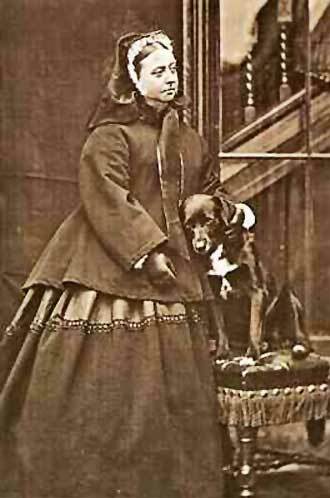 They are a fairly robust dog but they can be afflicted with hip problems and progressive retinal atrophy, a degenerative disease of the eye that causes blindness. Another severe problem found in the breed is a genetic condition known as Ceroid Lipofuscinosis or Storage Disease. The condition causes a build-up of sugars on the brain and causes the dog to display severe temperament changes. This behaviour is usually extremely aggressive and the dog has to be put down to prevent injury to itself or others. Anyone who wants a dog to be one of the family and is willing to invest the time and effort will not find a better dog. But people who spend a lot of time outside their home environment and leave their dog at home are in for big trouble. The Border Collie Club of NSW Inc.